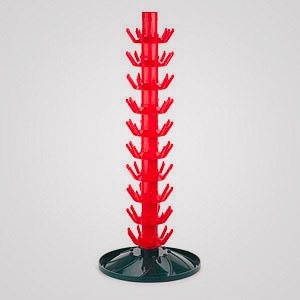 Bottle tree for draining and drying bottles. Holds up to 63 bottles to dry. The bottle rinser we sell also fits to the top of the tree. Colours may differ to the image, the product is usually all green, although it does vary from our supplier.